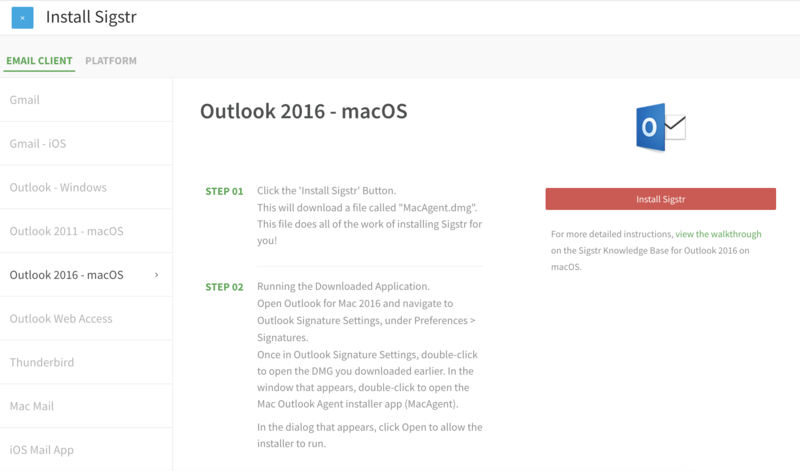 Navigate to Outlook Mac from the install option list. Select the Install Campaign button. That will trigger an .DMG file to be downloaded. 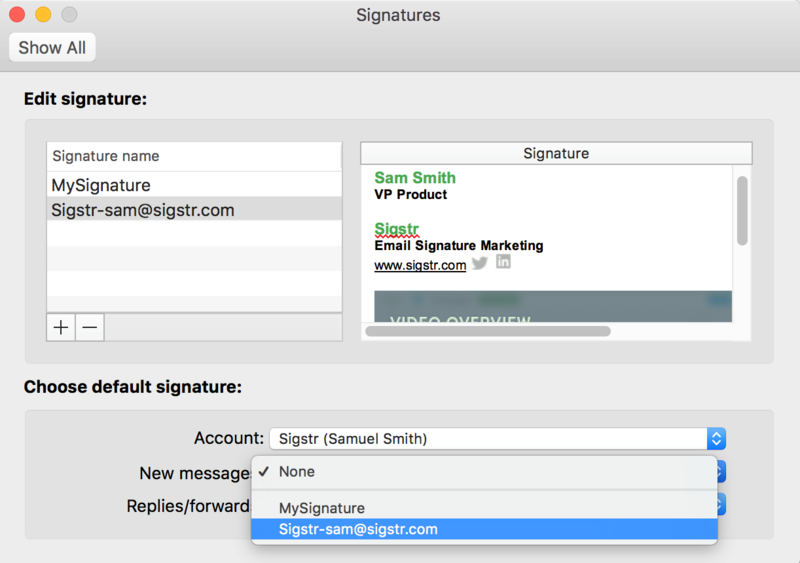 From there, users will open Outlook for Mac 2016 and navigate to Outlook Signature Settings, under Preferences > Signatures. Once in Outlook Signature Settings, users will open the Mac Outlook Agent DMG. In the window that appears, users will open the Mac Outlook Agent installer app. 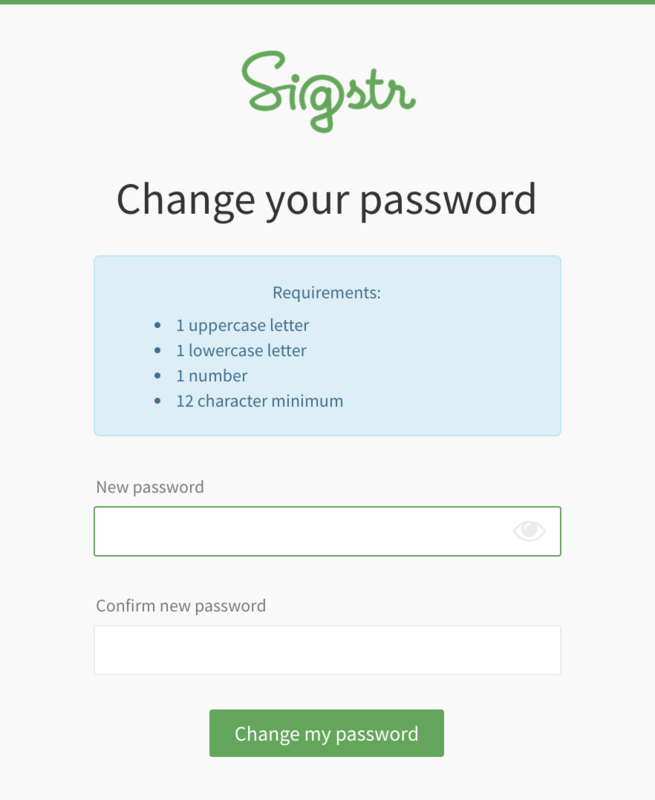 In the dialog that appears, users will click Open to allow the installer to run. Once the installer completes, the user will be notified. 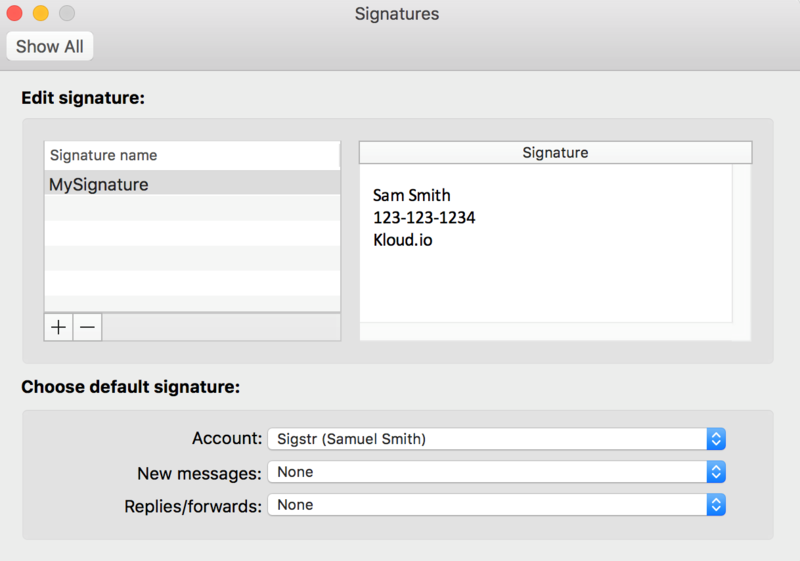 In Outlook Signature Settings, users will see their new Sigstr signatures. They will need to select it from the Signature Name list on the left. Using the drop-downs, they will be asked to set it as the default for their email accounts on New messages and Replies/forwards. 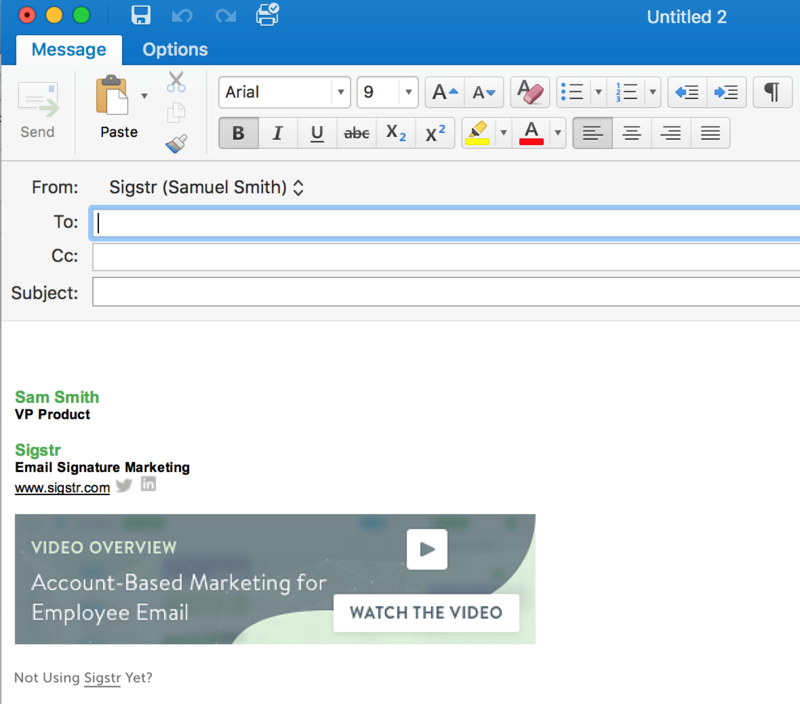 After users have changed the appropriate defaults, new emails, replies, and forwards created in Outlook will automatically show their Sigstr signatures. After installation, users have the option to remove the installer by right-clicking on the Mac Agent volume and selecting Eject Mac Agent. 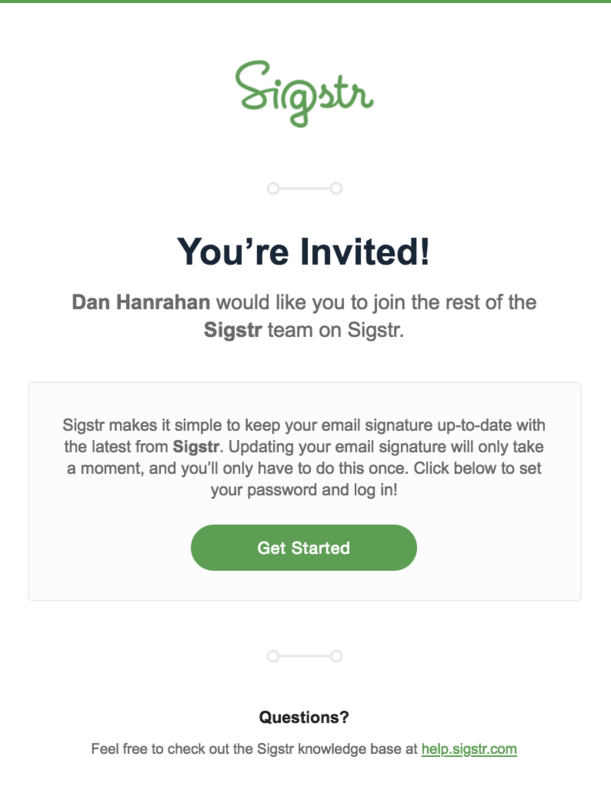 Users do not need to keep the file in order for their Sigstr signatures to stay active.